BRYAN EATON/Staff Photo. 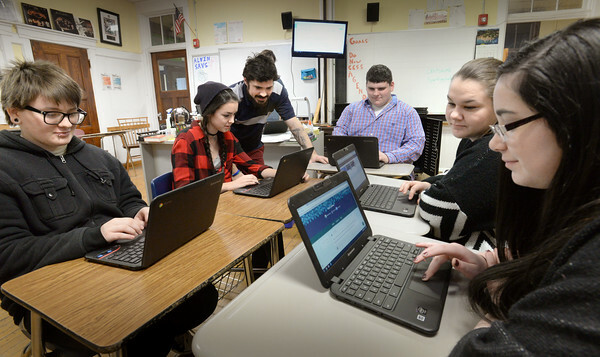 Amesbury Innovation High School students work on Chromebooks donated through a grant from the Rotary. From left, Chase Nowlin, 15, Heather Carva, 18, history teacher Pat Hamilton, Charles Wright, 17, Shavanha Lewis, 17, and Cassandra Scibelli, 16.